These wide width (30mm) suspenders/garters are made with soft yet strong elastic. The metal top clips, metal adjusters and metal suspender clips are made from the finest quality parts. 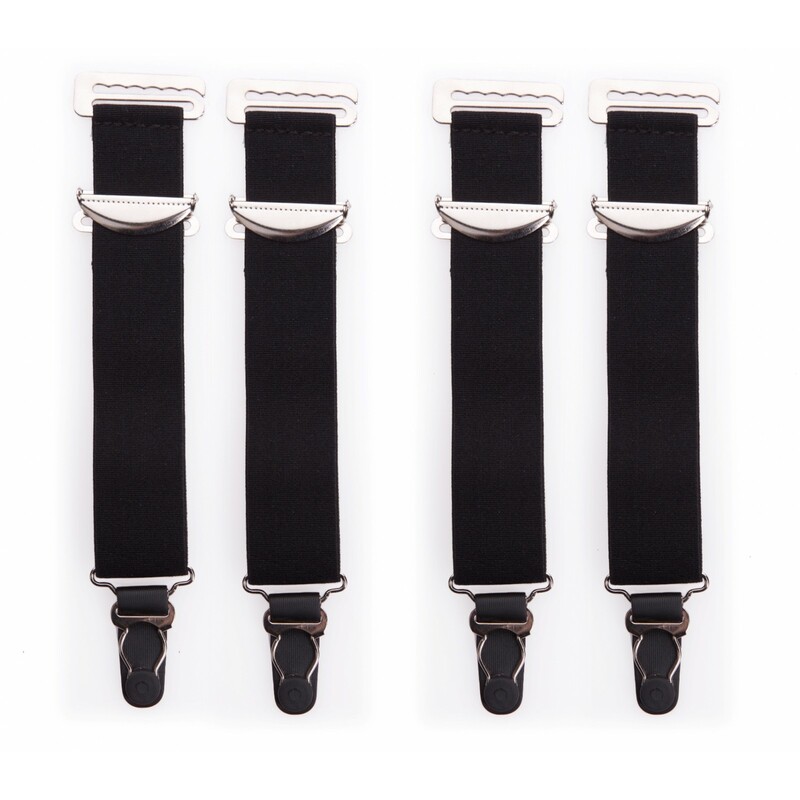 The metal parts of these suspenders are designed to stand out and be very strong. These suspenders are the final detail that will make any outfit really stand out. The suspenders come in 2 packs of 2 suspenders, totalling 4 suspenders. We offer unlimited exchanges up to 30 days and a no-nonsense 30 days refund policy (shipping charges are non-refundable).